Taran Krishnan is a student at the Johns Hopkins University, studying Economics and International Studies. He is part of the Milton S. Eisenhower Symposium, the Marshal L. Salant Investment team and a member of JHU TAMID. He is expected to graduate in 2020. In high school, Taran became interested in economics after participating in the Euro Challenge competition. He felt the real world analysis of economic conditions in the Euro Area allowed him to keep up with politics, personal finance and general conversation. Taran became interested in financial literacy while interning at W!SE (Working in Support of Education), an opportunity he found by participating in Euro Challenge. Taran attributes the Euro Challenge competition as a major factor in his choice to study Economics and International Studies at Johns Hopkins. He plans to study abroad his junior year in France; the Euro Area country he studied as part of the 2014 competition. Megan is currently in her second year as a Debt Capital Markets Analyst at Deutsche Bank. She works with Consumer & Retail companies to analyze capital structure opportunities and issue debt across a number of global bond markets. In May 2016, Megan graduated from the University of Pennsylvania, where she studied Management and Retailing at The Wharton School. She credits her experience in the Euro Challenge competition as a defining moment of her high school experience and one that shaped her future plans. The exposure to economic topics and current events spurred a desire to continue a business education. In fact, her team’s focus on Germany for the competition even allowed her to learn more about her current employer, Deutsche Bank, due to its influential role in the European economy. No matter how much you know about the EU and economics prior to the Euro Challenge, Megan recommends doing as much research as possible: “It’s so important to research every topic that you come across during your preparation, and to continue to ask questions to your advisors and fellow teammates. I distinctly remember when my team had our “light bulb moment” of understanding GDP by piecing together the different inputs. We spent hours bouncing questions off one another in order to truly grasp the concept.” This way, when a topic comes up during the Q&A session, your team not only knows the answer to the question but truly understands the answer! A senior at the University of Michigan, Ronald Basin is majoring in business administration with a minor in computer science. Ronald chose the University of Michigan because of its highly regarded Stephen M. Ross School of Business and its access to technical degrees. In the summer of 2016, Ronald was software engineer intern at Amazon, in Seattle, WA, where he worked in the information security department and developed an internal web app to automate security practices. Ronald remembers the Euro Challenge as one of his most poignant growth moments in high school. The program helped him to learn how to think critically, especially under pressure. Additionally, the Euro Challenge sparked his interest in international economics and led him to choose a degree in business administration. Caroline is currently a Rotational Analyst at the New York Fed, working within the Markets Group. She started at the Fed right out of school, and has been working there for two months. As a member of the Markets Group, Caroline analyzes various financial arenas like equities and credit alongside senior specialists. She became interested in working for the Fed after competing in high school Euro and Fed Challenge, discovering a fascination with monetary policy in the process. 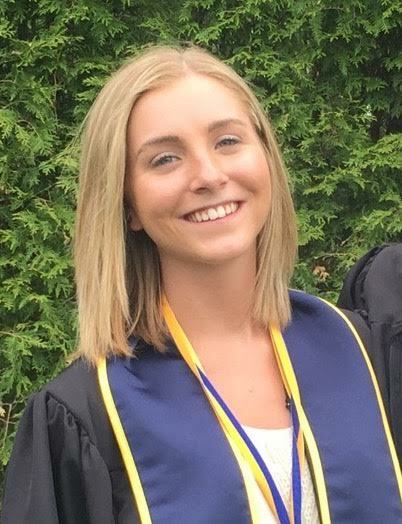 Caroline went on to double-major in Economics-Finance and Liberal Studies with a concentration in Global Perspectives, graduating from Bentley University’s Honors Program in three years. While at Bentley, Caroline completed an internship abroad in London, UK, with a small economics consultancy firm that does work for many globally recognizable names, including the European Commission and the British Parliament. She also worked as a Research Assistant for a professor on campus studying campaign financing. Hobbies: Lacrosse, Football, Poker, Traveling, and meeting new people. Jeremy Tarica is a banking analyst at the Bank of America Merrill Lynch. He advises companies on strategic and financial alternatives that are aimed at growing a company and returning capital to shareholders. In May 2016, Jeremy graduated from Vanderbilt University, where he studied Human and Organizational Development and Financial Economics. His interest in finance and economics stems largely from his participation in the Euro Challenge. The experience, he says, opened his eyes to the intricacies of monetary policy and the economy as a whole. 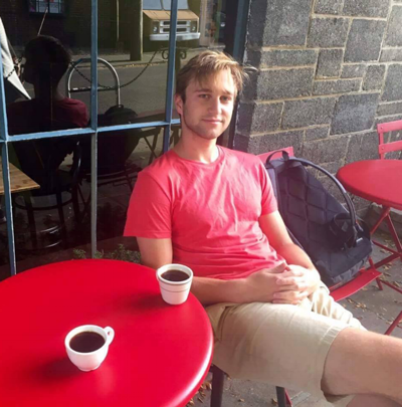 During summer breaks, he pursued multiple internship opportunities in New York City, a practice he strongly encourages other students to do. Most notably, he interned at the Bank of America Merrill Lynch as an Investment banking analyst in the Telecommunications, Media, and Technology (TMT) group. The internship led to his current position at the company. 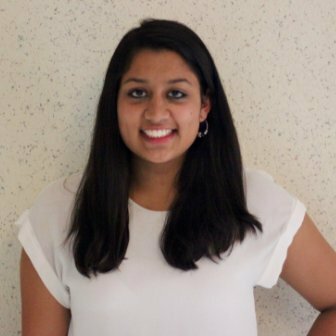 Alaukita Shah is an analyst at Goldman Sachs in the Investment Management Division. In her position, Alaukita evaluates hedge funds to see if they are good investments for her clients. Alaukita became aware of the position at Goldman Sachs through her alma mater, Cornell University. In May 2016, she graduated from Cornell with a Bachelor of Science degree in Applied Economics and Management. By attending Cornell, Alaukita says, she was able to study finance with the best professors in the world, while staying close to her home in East Brunswick, New Jersey. After participating in the Euro Challenge, Alaukita developed the passion to pursue a career in finance. The program helped her grow because it required her to present an analysis to a group of very qualified and high-ranking people in the business world. In preparation, she spent hours researching macroeconomics, the Sovereign Debt Crisis, and anything else she might need to know to succeed in the competition. She came to understand how economies were connected and how the macro environment affected global markets. Hassan Hamade is a risk management analyst at PolyPaths, a company that makes software for firms and individuals that trade fixed income derivatives. In his current position, he models risk and rewards using the proprietary Polypaths software. Although he was a biotechnology major at Brown University and a cancer researcher in high school, Hassan always had a deep obsession with markets. He participated in the Euro Challenge because he was curious about how the global recession could impact Greece’s recovery. The Euro Challenge cemented his interest in finance and economics and showed him that there were many unanswered questions left to solve.